The legalization of cannabis for medical and recreational purposes is opening the world to a ton of possibilities, especially for chiropractic care. Chiropractic care offers patients relief from a plethora of disorders involving the nervous system and the musculoskeletal, as well as promoting wellness and general health. Chiropractic treatment has been used to improve neck and back pain, headaches and poor bowel movement. What makes chiropractic care so special is because it focuses on a hands-on, drug-free approach to practicing health care which includes diagnostics, examination and personalized treatment plans. Chiropractic care is a perfect choice if you want to improve the overall quality of your life; it’s an all in one treatment option that considers your whole body in relation to specific ailment areas. Considering chiropractic care as part of treatment therapy with medical marijuana is a practice lots of professionals are delving into. Experts claim that the combination of both may improve one’s condition and promote positive results. Why Cannabis and Chiropractic Care Work So Well Together? Chiropractic care and medical cannabis work so well together in the sense that both treatments employ natural and holistic option. They both act on a patient’s body holistically with the muscles, nerves, circulation, and bones as focal points. Medical cannabis, on the other hand, involves a treatment option that seeks to relieve pain and discomfort which could be emotionally or physically induced. By working with a medical professional who is knowledgeable about medicinal cannabis and its vast benefits he/she can prescribe the use of medical marijuana as an option for pain management because both medical marijuana and chiropractic care are both natural treatment therapy. The merging of chiropractic care and medical cannabis use can be a patient’s long-lasting treatment option for pain and suffering. CBD also referred to as Cannabidiol is a compound extracted from cannabis that has been effective in treating several ailments include inflammation, local pain, resistant pain, arthritis, joint discomfort among several others. With the goal of keeping chiropractic care drug free, CBD serves as a suitable alternative for patients irrespective of your age, body size or shape. Now to the big question, is cannabis now fully legalized? 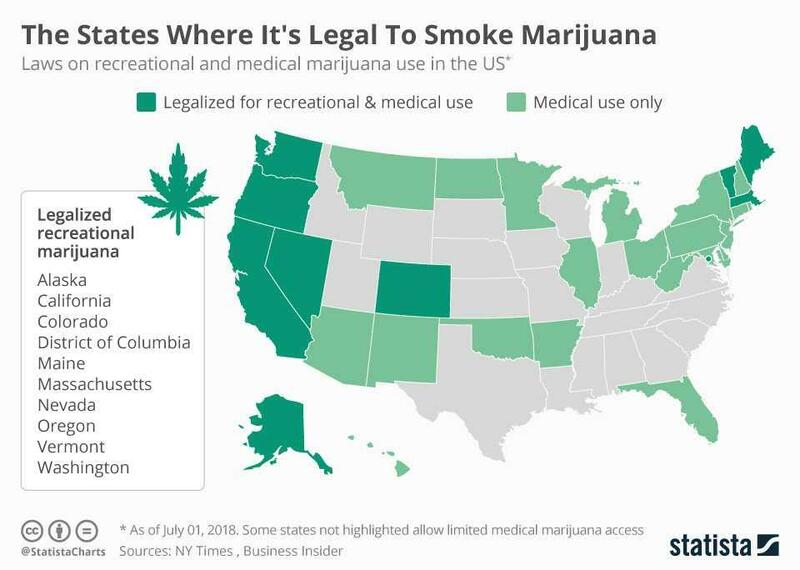 While most states have legalized cannabis for medical use, other states still consider the use and possession of cannabis completely illegal. In more recent news, Canada becomes the second nation in the world to legalize marijuana. While the use of cannabis to treat and manage ailments may not be new; the Chiropractic industry seems to have just started exploring the cannabis industry and its many applications and uses. As a way to forge the chiropractic practice forward, cannabis therapy seems to make sense for practitioners looking to improve the overall well-being and health of their patients. In the near future, chiropractors using CBD for pain relief will supplement adjusting patient alignment.